Over in Hollywood, the morning of the Golden Globes is bound to be exciting, stressful, and a whole whirlwind of other emotions that I can't even begin to comprehend. After all, it's one of the biggest award shows of the year. But instead of letting that get to her head, Amy Schumer is approaching the day in the best way possible— with a sense of humor. The Trainwreck star is giving her fans a behind-the-scenes look leading up to the show. From funny screenshots of texts to a snapshot of her fancy breakfast, Schumer's pre-show posts already make her a winner, in my opinion. The show hasn't even started yet, but she's already nailing it. It's undeniably going to be a big night for the 34-year-old. 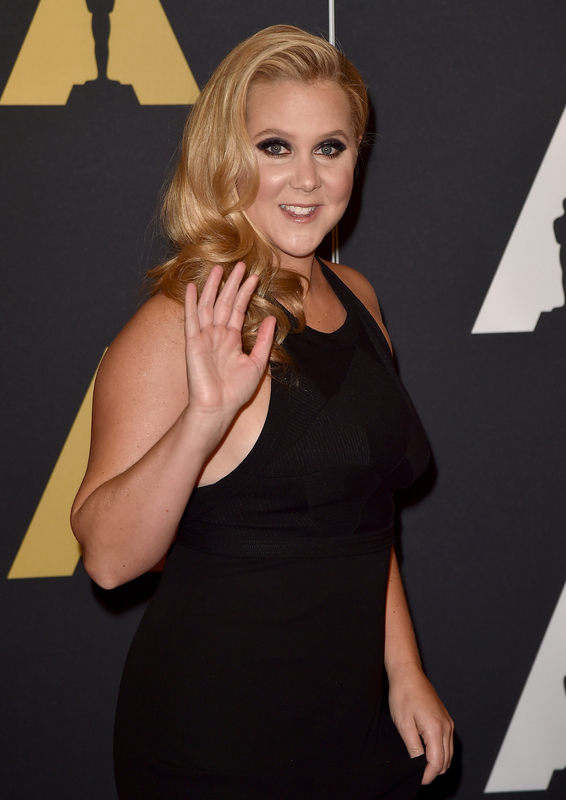 Schumer is nominated for Best Actress — Motion Picture Musical or Comedy, and her movie Trainwreck is up for Best Motion Picture — Musical or Comedy. Taking home either trophy would be major, since she wrote the screenplay herself. And let's be real, the movie is fantastic. She also revealed on Instagram that her sister, Kim Caramele (who she refers to as Road Manager), is her award show date. Even more exciting news? Schumer's new boyfriend Ben Hanisch will be attending as well. Here's an inside look at what it's really like before the Golden Globes, or at least from Schumer's hilarious perspective. Picking the right Golden Globes gown is a major decision, but Schumer approaches the situation with humor. While this throwback is probably not an accurate representation of what she and her sister will actually wear (although I sure hope so! ), it's awesome anyway. Talk about a breakfast of champions! Between the french toast and pancakes, I'm practically drooling on my computer screen. This is the perfect fuel for the big night. It's hard not to LOL when seeing that Schumer's BFF forgot what she was doing tonight. I mean, it's not every day that your bestie is going to a major award show and potentially taking home some of the night's biggest trophies. Hopefully Schumer's updates continue throughout the day! Following along is almost as good as watching the show itself. Almost.